Ms Lena C Andersson M.D., Dr.med., founded the Anelca Clinic in 1998, and recruited further Specialists to the team, including Hand- and Maxillofacial Surgical Specialists. 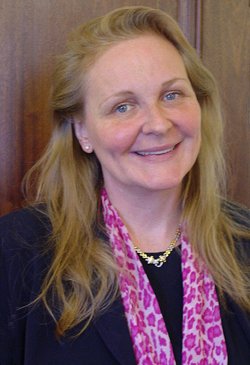 Ms Andersson has been a Consultant Plastic Surgeon since 1993. She originally trained at the Karolinska Institute, Stockholm. She received her specialist training in Aesthetic- and Plastic Surgery in Sweden, Switzerland and the USA, before being appointed as Consultant Plastic Surgeon at St Bartholomew’s Hospital and the Royal London Hospital in 1995, when she also commenced her private practice in London. All the Consultants within the team have long standing training and experience within Aesthetic- and Reconstructive Plastic Surgery including Trauma- and Burn Surgery. They also publish academically internationally on regular basis. Ms Andersson is a member of the British Association of Plastic Reconstructive and Aesthetic Surgeons (BAPRAS), of the International Society of Aesthetic Plastic Surgery (ISAPS) as well as of many other International Plastic Surgery Associations. Ms Andersson believes that patient safety and satisfaction is of prime importance and the patient’s expectations have to be clear. She further emphasises a policy of wellbeing and sensibility.